Greg Wood former naval doctor and Atos disability analyst. 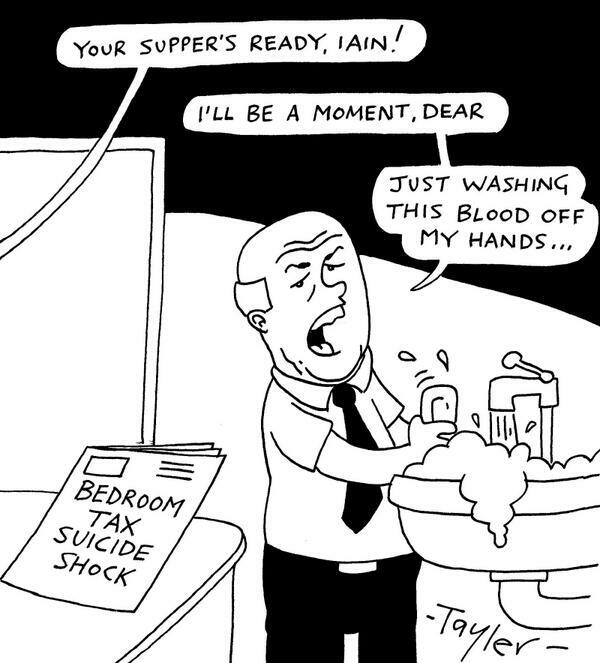 work sickness benefits could, in fact, cope with most forms of work. A more stringent test came into use in 2011, and the government made no secret of the fact that it hoped this would boost the labour market, improve people’s self esteem and personal income, and, of course, reduce government debt. social security benefit assessments, including the WCA, for the Department for Work and Pensions. In my view this risks tension between doctors’ professional concerns on the one hand and business imperatives on the other. take into account health conditions that fluctuate unpredictably, and it tries to include too broad a range of jobs. Driving, call handling, shelf stacking, data entry, and cleaning, for example, are all theoretically covered. And although the test is nominally a pre-employment medical test of sorts, it is really still about measuring the person’s level of disability. In early 2013 the WCA was still causing a rumpus in public, despite a series of external reviews. being opened for the first time by the assessor, it was broadly assumed that an individual claimant was more likely than not to be found fit for work. My fourth concern was that Atos auditors, for quality assurance purposes, were in the habit of demanding that healthcare professionals change their reports without seeing the patients themselves. This seemed fairly reasonable if the amendment could be justified, but not so reasonable when the doctor who had seen the patient thought otherwise. For instance, auditors supposed that they could tell that a patient with a chronic and only part treated psychotic illness had adequate mental focus, despite not assessing the patient for themselves, and using solely a report. it is important enough to you and you do not believe that the problem can be fixed by more conventional means; if you can back up your assertions with evidence; if you are prepared to risk alienating your colleagues; and if you are robust enough to deal with the slings and arrows that might come your way; then blow your whistle loud and blow it proud. Competing interests: I have read and understood the BMJ Group policy on declaration of interests and have no relevant interests to declare. Provenance and peer review: Not commissioned; not externally peer reviewed. Dr Wood deserves to be thanked for his publicising of what lies behind the seemingly dark and at times Kafkaesque outcomes of Atos WCAs. Over the past few years I (and many others) have seen a growing number of patients becoming victims of mind-boggingly cruel and unfair assessments which have led to stoppage of their ESA payments. How can a patient with a quite profound depressive illness somehow manage to score zero points at an Atos WCA but 27 in a PHQ-9 assessment in the same week? In their defence they would cite that they do not actually make that final decision, it is made by an adjudication officer, a clerical worker, back at the DWP. Thus they can sanitise their tainted and increasingly cruel and unfair judgements. Atos and the DWP seem to deny the existence of a target driven culture. However, their methods and tactics cannot be explained by any other logical reason. In 1996 I spent 6 months doing two sessions per week with the then Benefits Advisory Medical Service. The assessment tool was the All Work Test, not totally dissimilar to the WCA. Available to assessors were two exclusion clauses for those occasions where a ‘client’ clearly would not achieve the magic score of descriptor points to retain their benefit but equally clearly was not fit for work. This facility remains present in the WCA assessment. This option to apply exceptions, without restriction from management, was what allowed latitude for commonsense, experience, empathy and compassion. The recent marked increase in grossly unfair decisions by Atos/DWP is, in my view, solely due into the fact that doctors and nurses performing the assessments have had those four safety valve qualities blocked in an over-bearing and bullying fashion by their employer Atos. The DWP, as the commissioning public body, carries equal responsibility for this. Atos employed doctors and nurses (especially those in managerial roles) should be examining their consciences in these matters. They should be reminded that the decision will be based largely, if not entirely, on their assessment. They are answerable to their governing body. They are also answerable to their ‘client’ who is our patient and therefore answerable to us. When they see somebody who has not scored enough descriptor points, but who they must know is not fit, it is their duty to apply an exception clause. It is their duty not only to our patient but also to their governing body. This past year I have been involved with supporting appeals for increasing numbers of patients who have had their ESA stopped. One example is a significantly unwell man with complex multiple medical conditions including SLE and ‘shrinking lung syndrome’. He walks very slowly with difficulty and is significantly short of breath after just a few metres. I am convinced that a child would have come up with a more appropriate decision regarding his fitness. Working with a like-minded local lawyer our success rate is currently 100%. There are more to come. This is a frustrating waste of time for me as it is so unnecessary. What is more frustrating is the total lack of transparency following such a successful appeal. The appeal is successful, the ESA is restored but there appears to be no other outcome. No acknowledgement of accountability on the part of Atos or its employee. The misery and extra unwelcome stress put upon our patient seem not to matter. Apologies do not exist. The tremendous waste of public money expended in dealing with the dramatic increase in levels of appeals is a disgrace. With the recent disturbing news that GPs are being urged by professional bodies to refuse to provide benefit claimants with the medical evidence they desperately need for their WCAs whilst the DWP and Atos refuse to do the job themselves, leaving disabled people in an impossible position, its good to read stories like these by doctors who put their principles and humanity before anything else. We desperately need more health professionals who are or who have previously worked for Atos to come forward and speak out and put the powerful weight of their professions behind the people being criminally treated by Atos with the approval of their own government. This entry was posted in Atos, disability, DWP, government, Tories and tagged Atos, Benefits, BMJ, current-events, Department for Work and Pensions, DWP, ESA, General Medical Council, Government of the United Kingdom, Politics, Royal Navy, WCA, WCA appeals, whistleblowing, Work Capability Assessments, zero points on August 25, 2013 by sparaszczukster. 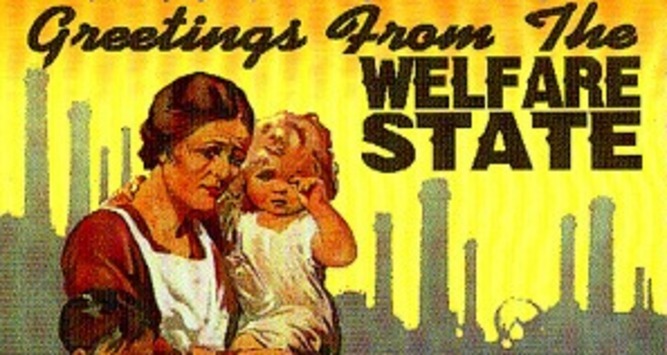 “FROM THE BRITISH WELFARE STATE TO ANOTHER AMERICAN STATE”: The Shape Of Things To Come? 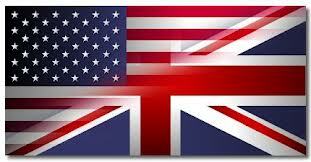 Earlier today I posted a summary of research into Unum and ATOS by Mo Stewart. Here are two further summaries she has sent me with permission to post on this blog. Her most recent report has just been published by the Centre for Disability Studies at Leeds University. The ongoing welfare reforms have created an atmosphere of fear and despair within the British disabled community, that includes sufferers of chronic ill health and those with mental health difficulties. Claimants in receipt of the former Incapacity Benefit are being transferred to the Employment and Support Allowance (ESA) but, to retain this disability benefit, claimants are required to make themselves available for an ‘occupational assessment’, known as the Work Capability Assessment (WCA), as exclusively conducted by the private contractor Atos Origin IT Ltd Medical Services; better known as Atos Healthcare. quoted during the welfare reform debates in the House of Lords during September 2011. Not only was the Atos examination exposed as being ‘unfit for purpose’ by the President of the Appeal Tribunals,(11) but also most recently by the representatives of Britain’s doctors and nurses as the WCA was identified by both the British Medical Association (BMA)(12) and the Royal College of Nurses (RCN)(13) as being totally detrimental to the welfare of patients. DWP Ministers continue to disregard all reported evidence against the Atos assessment. University. During that time, Professor Aylward co-authored arguably the most damaging report in the history of British welfare as The Scientific & Conceptual Basis of Incapacity Benefits, TSO 2005(14) was, effectively, a blueprint for the introduction of the WCA. The main influence of the Green Paper content was The Scientific & Conceptual Basis of Incapacity Benefits, TSO 2005(14), as authored by Professors Mansel Aylward and Gordon Waddell and published by the UnumProvident Centre for Psychosocial and Disability Research, Cardiff University. Research evidence has confirmed the profound influence of a discredited American corporate insurance giant with the DWP since 1994 and the most damaging reports, used to influence and inform government policy on welfare, have been produced via a research centre who have adopted the Unum philosophy and cannot possibly be considered to be ‘independent’ research evidence. On 17th April 2013 the United Kingdom honoured Baroness Thatcher with a ceremonial funeral at an admitted cost of £3.6million, to acknowledge the nation’s first female Prime Minister, whilst her lasting legacy to the British people will be the successful destruction of the welfare state. government in 1994(1), with successive governments contributing to the fear now faced by over three million chronically sick and disabled people. The Prime Minister announced last year that disability benefits should only be available to those whose reduced health was due to ‘no fault of their own.’* Playing ‘the blame game’ whilst demonstrating his very dangerous lack of comprehension of the sinister implications of all serious addiction was thought at the time to be extreme comments by the Prime Minister, but it was only ever the tip of the iceberg. The reality is that every chronically sick and disabled person in the UK, in receipt of disability benefits, has learned to live in fear of their own government that is shared by the claimed ‘moderate’ political party; namely the Liberal Democrats. Atos Healthcare (AH) are engaged to undertake all medical assessments on behalf of the DWP for anyone in receipt of Incapacity Benefit – now changed to the new Employment Support Allowance(ESA) – but the AH assessments remain totally free from all public accountability according to the General Medical Council and the Care Quality Commission. (1) Undeterred by public concern, the £multi million contract between the DWP and AH was recently extended(6), whilst countless numbers of our most vulnerable citizens testify to this bogus medical assessment, that remains as far away from genuine medical evaluation as it’s possible to be. (1) In reality, the Atos assessment is a limited non-medical assessment, that discounts all input from the patients’ GP and Consultants, and remains very high risk as it is based on the totally discredited Bio-Psychosocial Model(BPS) of disability(7) that totally disregards the diagnosis and prognosis of the benefit claimant. Within three months of leaving the DWP Professor Aylward, recently rewarded with a Knighthood for services to disability assessment, was appointed as the Director of the then named Unum Centre for Psychosocial Disability Research at Cardiff University and his appointment as the Centre’s Director led to the Professor’s appointment as the first ever Chair of Public Health in Wales. Professor Sir Mansel Aylward is also a Director of the Health Claims Bureau(13), a private company involving Unum Insurance with the ‘medical assessment’ for claimants of income protection or disability insurance for industry. Yet, this assessment is virtually identical to the tyranny used by Unum (Provident) Insurance, as exposed by the Yale School of Law(21) when identified as the Unum Provident Scandal, and now copied by the UK government to remove helpless victims from State financial support. To guarantee that Atos Healthcare remained confident about their purpose, Unum’s former Chief Medical Officer Mike O’Donnell crossed the Atlantic Ocean and was appointed as the new Chief Medical Officer for Atos Healthcare but, of course, both companies deny that there is any professional relationship between them. When previously known as Unum Provident Insurance, this US corporate insurance giant were actually banned from 15 States in America and 6 countries, worldwide, until 2008(1), when they again changed their name to become known simply as Unum Insurance. Someone, somewhere surely now needs to be asking the question as to why was this highly discredited corporate insurance giant ever invited to advise the British government about welfare reforms….?? Someone, other than investigative TV journalists(25), needs to be asking what was the ultimate goal, and who were to be the undoubted beneficiaries of this government funded medical tyranny, imported from America, against the most vulnerable people in our society? Liberal Democrat Conference by the courageous young Mr George Potter. (26) If only the political leaders of the Liberal Democrats enjoyed some of the courage displayed by George Potter, millions of chronically sick and disabled people would no longer need to live in fear of this coalition government, that has totally failed to protect them, despite claims by Liberal Democrat leaders. And here’s George Potter speaking out at the LibDem Conference last year. I’m not a supporter of the LibDems but I take my hat off to him for having the bravery to criticise his own party at their own conference. This entry was posted in Atos, disability, DWP, government, LibDems, Right wing radicalism, Tories, Unum and tagged Atos, British Medical Association, Department for Work and Pensions, DWP, George Potter, Government, Green Paper, LibDems, Mansel Aylward, Politics, Unum, UnumProvident, WCA, welfare state on August 16, 2013 by sparaszczukster. 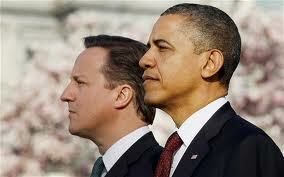 “The Hidden Agenda”: The Planned Destruction Of The Welfare State? The report reproduced (with kind permission) below is a short summary of the vitally important research into the origin of the current government’s campaign against disability and incapacity benefits and the involvement of Unum (formerly UnumProvident) and ATOS. This remarkably detailed work was carried out over the last three years by former healthcare professional and disabled veteran, Mo Stewart*. Mo has worked relentlessly and determinedly, despite her own pain and fatigue, to bring together a vast amount of damning evidence against this cruel system which has and continues to bring misery and even death to people whose only ‘crime’ is to be chronically sick or disabled. What you are about to read below is but a tiny example of far, far more material some of which can be found on her website here or by following the links she provides in her reference list at the end of the articles. too slow. The new Coalition Government enhanced the WCA and, following the previous Labour Government’s lead, it became much more difficult to qualify for the ESA(2) as the WCA totally disregarded diagnosis, prognosis or limited life expectancy. Of course, this destruction of the welfare state could never have been so readily achieved without the unelected former Labour adviser, David Freud. He was ennobled to permit appointment initially to the Shadow Cabinet but, following the 2010 General Election, he was appointed as the Minister for Welfare Reform for the Coalition where he has excelled. Indeed, one of Lord Freud’s most recent claims was that: “Poor people should be prepared to take more risks because they have the least to lose…”(11) Clearly, this man is yet another millionaire Minister who demonstrates no concern, and no comprehension, of human need. The ongoing DWP medical tyranny, masquerading as welfare reform, has permitted Atos Healthcare to conduct the WCA by employing the totally discredited Bio-Psychosocial(BPS) model of disability assessment that remains free from all public accountability according to the General Medical Council and the Care Quality Commission. The BPS is the assessment model as used by Unum Insurance when assessing healthcare insurance claims, and it is also the assessment model enthusiastically promoted by Professor Sir Mansel Aylward. The Professor is the Director of the Centre for Psychosocial and Disability Research at Cardiff University, initially sponsored by Unum Insurance from its inception in 2003 to 2009. Many had been in receipt of Incapacity Benefit before being re-assessed by Atos Healthcare, using the fatally flawed WCA, only to fail to qualify for benefit following ‘assessment’. The Internet provides evidence to this government imposed suffering at a cost to the tax-payer of £110million per annum for the confidential Atos contract and an estimated £60 million pounds per annum, and rising, for the costs of the appeal tribunals. 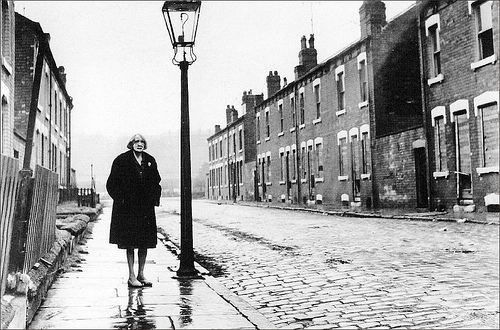 Yet, still, Members of Parliament (MP) continue with their very courteous and diplomatic debates(8)(9) as the Prime Minister, the Cabinet and, especially, their corporate partners all celebrate the ongoing planned destruction of the welfare state that appears to be unstoppable. The recent exposure of a 2005 internal Unum report, that actively boasted that the company was ‘driving government thinking’ regarding the reform of Incapacity Benefit (24) leads to the much more sinister possibility that the DWP are simply administrators of these brutal welfare reforms, and that the perpetrators of the devastation caused to the victims of this UK government funded medical tyranny are, in fact, Unum Insurance. Michael O’Donnell was the author of the 2005 internal Unum report that was written when he was the Chief Medical Officer (CMO) for Unum Insurance. 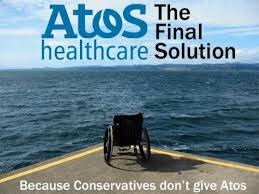 Michael O’Donnell is now the CMO for Atos Healthcare…..
(10) British people are committing suicide to escape poverty. Is this what the State wants? (15) Panorama: Disabled or Faking It? Now watch the US video below (referenced above) and compare what is being described with what people are experiencing here in Britain at the hands of the DWP and its sidekick ATOS…chilling? This entry was posted in Atos, disability, DWP, government, lobbying, multinationals, poverty, privatisation, Right wing radicalism, TUC, Uncategorized, United States, Unum and tagged Atos, Back Bench Business Committee, biopsychosocial model, BMA, Dame Tanni-Gray Thompson, Department for Work and Pensions, Disability Living Allowance, DWP, Employment and Support Allowance, ESA, House of Lords, Incapacity Benefit, Kevin Brennan MP, Lord Freud, Mansel Aylward, Michael Meacher MP, social model, the hidden agenda, Unum, WCA, welfare state, whywaitforever on August 16, 2013 by sparaszczukster.